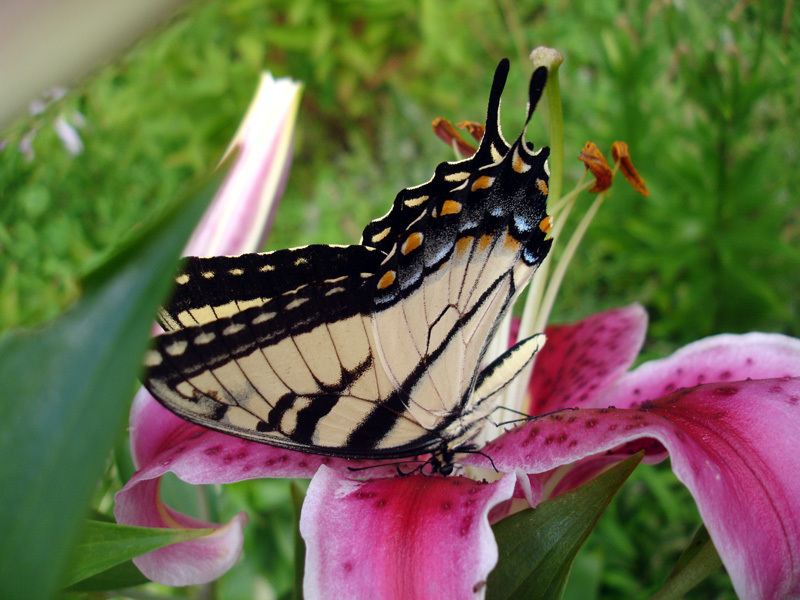 One evening last July, I watched this butterfly flitting around my lilies. I was happy that he was so busy eating and drinking that he gave me enough time to run into the house and get my camera. He was must have been very preoccupied with his snack because he allowed me to get close and take quite a few pictures. He drew the line at smiling at me with nectar running down his face. This butterfly reminds me of myself! I love eating.